Home Tags Posts tagged with "xinjiang"
Two Malaysians and one Pakistani have been arrested in Malaysia in connection with last month’s deadly bombing at the Erawan shrine in Bangkok, Thailand. Malaysian police chief Khalid Abu Bakar said they were detained a few days ago and were assisting with the investigation. Thailand has launched a manhunt for those responsible for the bombing which killed 20 people and injured 120 on August 17. 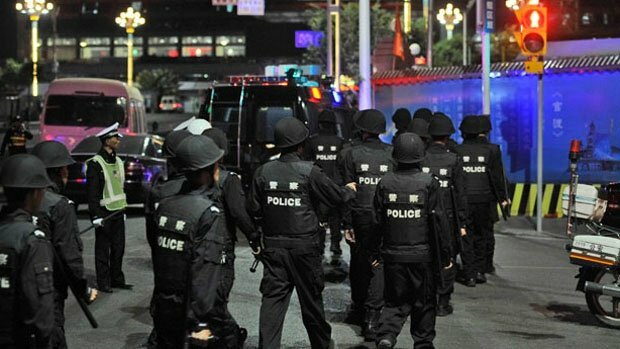 Thai police have arrested two people and are searching for a third man, said to be from China’s Xinjiang region. Khalid Abu Bakar told reporters on September 14 that the three suspects are a Pakistani man, a Malaysian man, and a Malaysian woman, who were arrested based on a tip-off from Thai authorities. He said the suspects would not yet be transferred to Thailand, as Malaysian police are still investigating. He did not give further details on the reason for their detention. 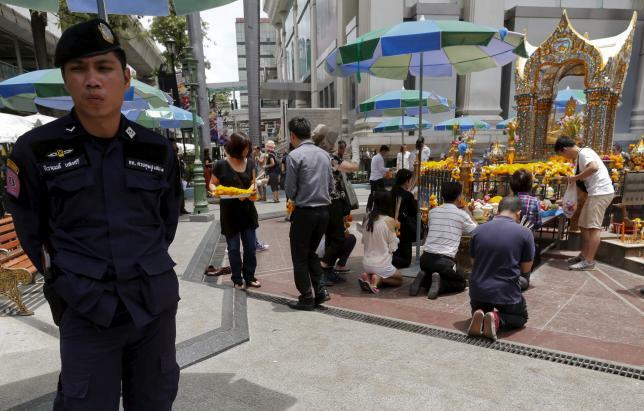 No group has stepped forward to claim responsibility for the attack at the Erawan shrine, but Thailand has alleged that a network which includes foreigners was behind the bombing. Over the weekend, Thailand issued an arrest warrant for a 27-year-old Muslim man called Abudusataer Abudureheman, also known as Ishan, from Xinjiang. Abudusataer Abudureheman is reported to have left Bangkok for Bangladesh one day before the bomb blast, and is believed by police to have played a prominent role in the attack. Thai authorities have already arrested two other suspects: Adem Karadag, whose nationality has yet to be verified, and Yusufu Meraili, who officials say is a Chinese national born in Xinjiang. Xinjiang is home to a significant number of Uighur Muslims, and Chinese authorities have faced criticism for the perceived harsh restrictions placed on religion and culture in the region. Thailand recently found itself in the spotlight following its forced repatriation of more than 100 Uighurs to China. China’s Urumqi railway station in western Xinjiang region has been hit by an explosion, injuring a number of people, state media report. 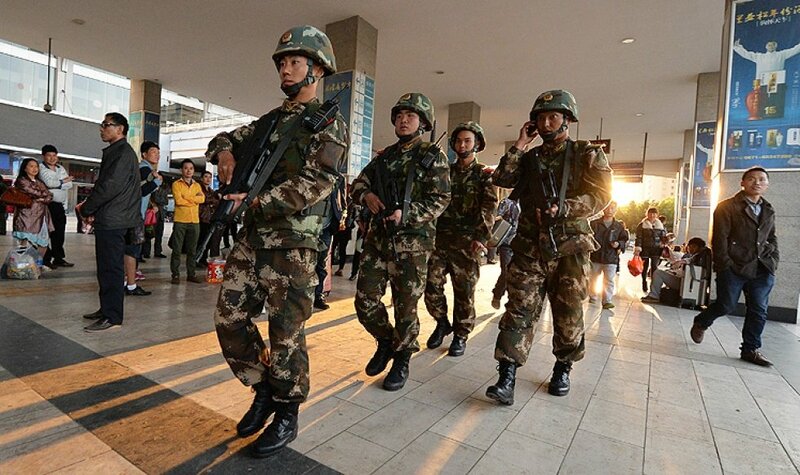 The blast hit Urumqi’s south railway station on Wednesday evening, state media said. The cause is not clear, but one report said at least 50 were hurt. President Xi Jinping visited the region this week, and has promised to step up anti-terrorism efforts. “A blast occurred at Xinjiang’s Urumqi train station at around 19.00 tonight, and there are injured personnel,” state-run newspaper People’s Daily said on its verified microblog feed. Meanwhile, The Beijing News said at least 50 people had been injured, citing police officers. At least 16 people have been killed in violence in China’s western region of Xinjiang, a state news portal says. The incident took place late on Sunday in a village near the city of Kashgar. The government-run regional news portal said police trying to make arrests were attacked by people armed with explosive devices and knives. Police shot dead 14 people, with two policemen also killed. The government traditionally blames extremists for the violence, while Uighur activists point to ethnic tensions and tight Chinese control as triggers for violence. The report, on the official Tianshan news portal, said two people were also arrested. Last month, state media reported nine civilians and two police were killed in an attack on a police station near Kashgar. 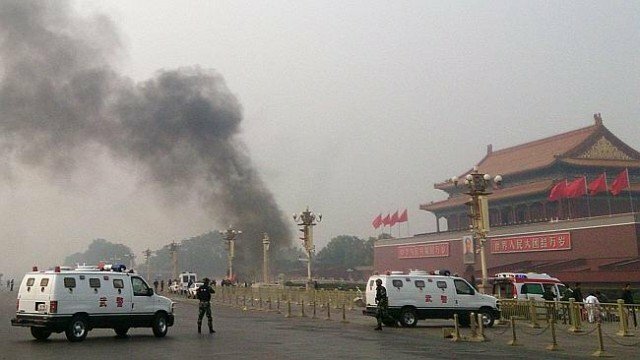 In late October, five people were killed when a car ploughed into a crowd and then burst into flames in Beijing’s Tiananmen Square. Beijing called the incident a terrorist attack inspired by Xinjiang-linked extremists. Three people who died inside the car were identified by police as Xinjiang Uighurs. 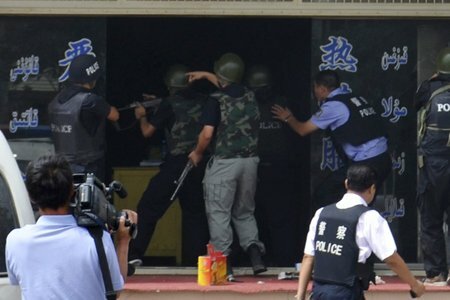 Two police officers and nine axe-wielding assailants have been shot dead during an attack on a police station in China’s volatile western Xinjiang province, state media say. 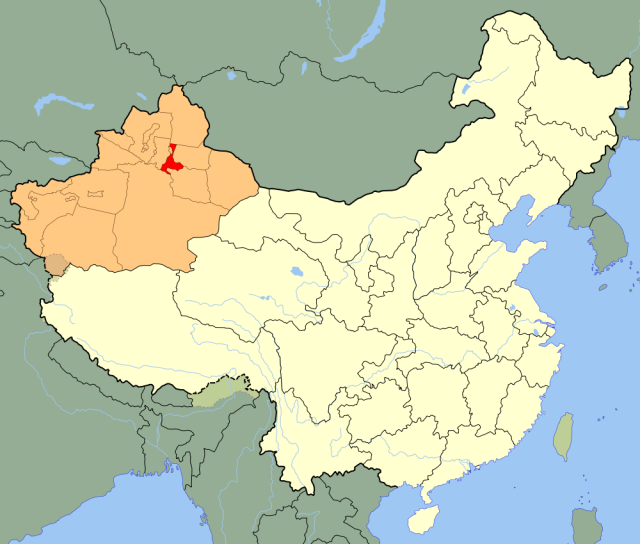 Xinhua news agency reports that the Saturday’s clashes took place in Bachu county’s Serikbuya, near the city of Kashgar. Another two policemen were injured. Xinhua provided no further details. Xinjiang – where Muslim Uighurs make up a large part of the population – has seen several clashes this year. Last month, five people died when a car ploughed into a crowd in Beijing’s Tiananmen Square – an attack the authorities blamed on the separatist East Turkestan Islamic Movement (ETIM). China often blames the ETIM for incidents in Xinjiang. There are nine million Uighurs living in the province, but they are now a minority in the region, which is now dominated politically and economically by Han Chinese. 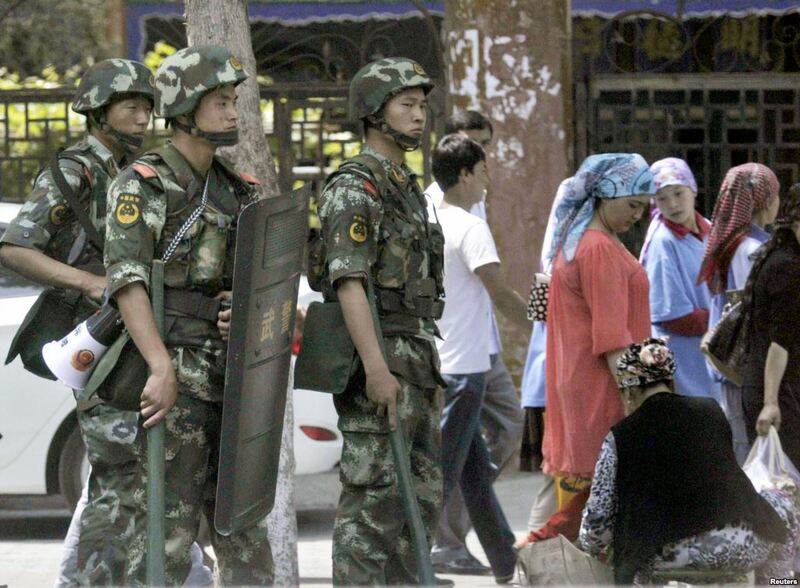 There were violent clashes in Xinjiang in April, June and August this year. 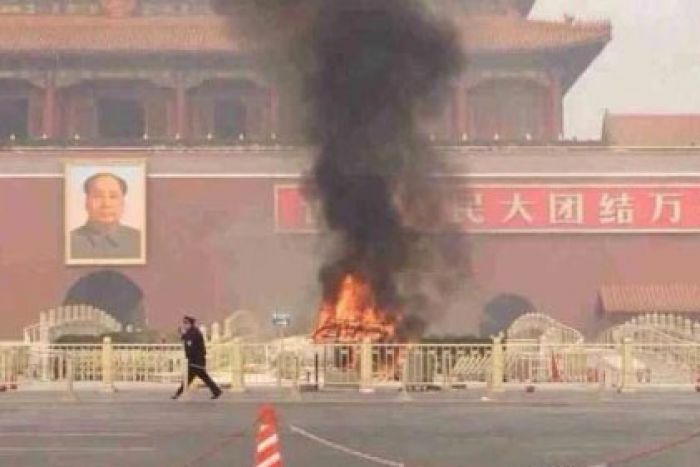 Two suspects have been named by Beijing police after a deadly car crash in Tiananmen Square, state media report. The vehicle crashed into a crowd and burst into flames, killing five people. Police subsequently issued a notice to hotels in Beijing seeking information about two people from Xinjiang province, Chinese media said. The note also described a vehicle and four number plates from Xinjiang, the scene of sporadic violent incidents. State-run Xinhua news agency said of the five people who died on Monday, three people died inside the car and two tourists were killed. Another 38 people were injured. Police shut down the scene of the incident – at the north end of the square at an entrance to the Forbidden City – shortly after it occurred, temporarily closing a subway station and a road. There has been no official statement on the cause of the incident. “A major case has taken place on Monday,” the police notice said, without specifying what. 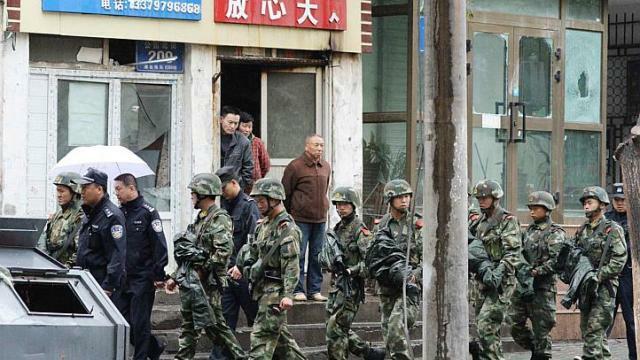 It named two residents from Xinjiang’s Pishan and Shanshan counties as suspects. The notice, unconfirmed images of which have been widely circulated on Chinese social media, also asked hotels to look out for “suspicious guests” and vehicles. China’s state-controlled Global Times said it had confirmation from the Beijing police that the notice was genuine, although police did not comment on the “major case” itself. 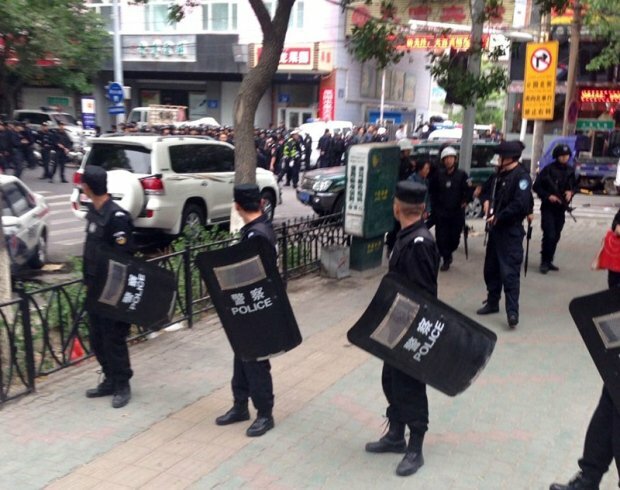 Zhao Fuzhou, a security official at Beijing’s Xinjiang Dasha hotel, said that police had circulated a notice to hotels searching for information about two suspects with Uighur names, AP news agency reported. 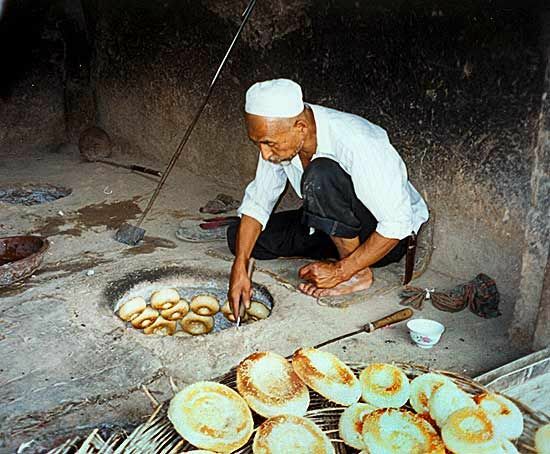 Xinjiang is home to the minority Muslim Uighur group, some of whom complain of cultural and religious repression under Beijing’s rule. There have been sporadic outbreaks of violence in Xinjiang, including both Pishan and Shanshan counties. 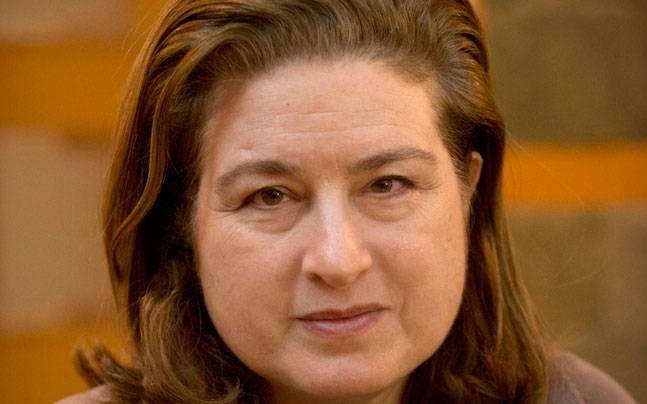 China says it grants the Uighurs wide-ranging freedoms. On Monday a Chinese Foreign Ministry spokeswoman said she did not know “specifics” about the incident. The country’s main state-run news agency, Xinhua, on Monday offered no reason for the incident but said police were investigating. Tiananmen Square is a highly sensitive site due to its link to China’s 1989 pro-democracy protests, which were ended by a military crackdown. The square is generally kept under very tight security both because of its proximity to key political institutions and so that is does not serve as a hub for protesters and petitioners, although incidents have nonetheless occurred there before.